Tree stumps can often be deemed unattractive as well as attracting fungi and parasites to your garden. We can remove large to small tree stumps of any size utilizing one of our many stump grinding machines operated by our qualified tree surgeons. Stump grinding of a tree stump is the most cost-effective method for removing unwanted tree stumps. It offers an advantage over the old-fashioned approach of using diggers, winches, or digging by hand, all of which are very labour intensive and involve a certain amount of ground disturbance. Stump grinding eradicates any unnecessary work offering minimal ground disturbance to the area around the stump. 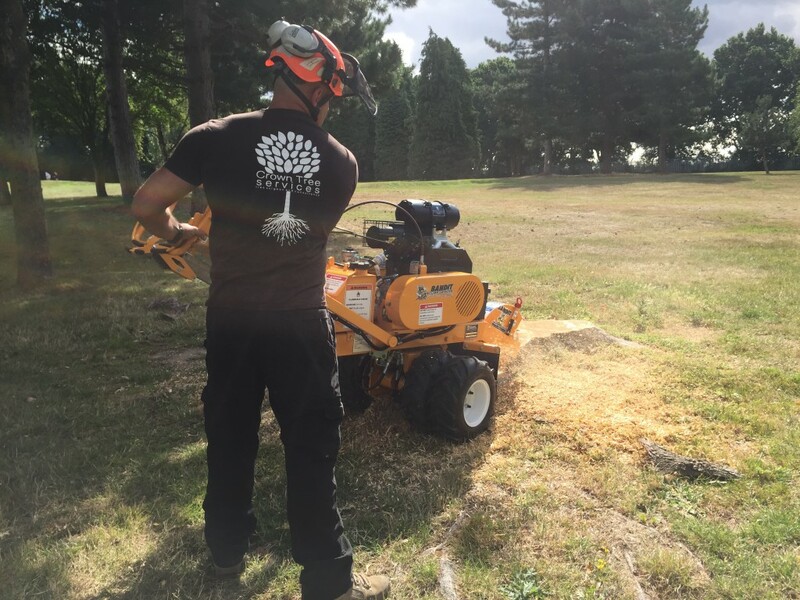 Stump grinding is a very effective solution to complete eradication of an entire stump, offering advantages such as the ability to replant where the tree once stood, or make way for foundations for concrete slabs or outdoor buildings. 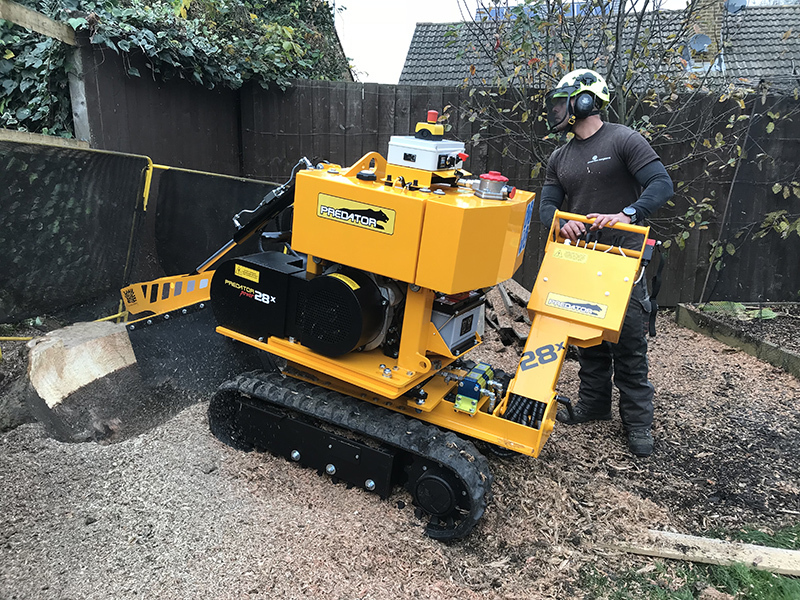 We offer Stump Removal in London and Kent using a full range of machines that are accessible through the smallest of areas from front door to garden gate. We can remove any size stump from small to large. Upon completion of stump removal, the remaining hole will be back-filled with soil and grinding waste, the area around the stump left clean and tidy. Our stump removal service operate a same day quotation covering London and surrounding counties. Using the latest all terrain stump grinding machines we can remove any size of tree stump and access any garden.